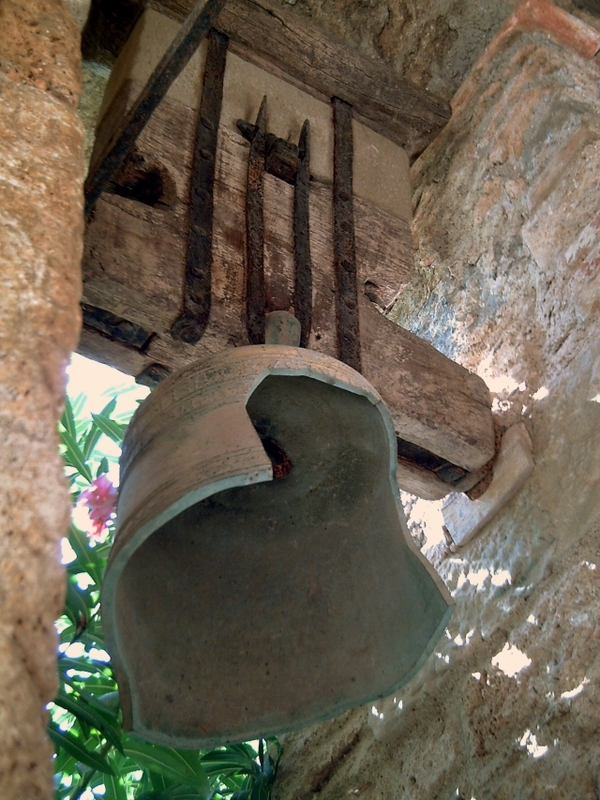 How many times have this old bell tolled since medieval times?...Located at one of the walls along the corridor where the cloister of Sant Miquel del Fai Romanic church used to be, the bells (there are two) are silent witnesses of centuries of quietness and meditation under the cliffs that overlook river Tenes and neighbouring towns of Bigues and Riells. 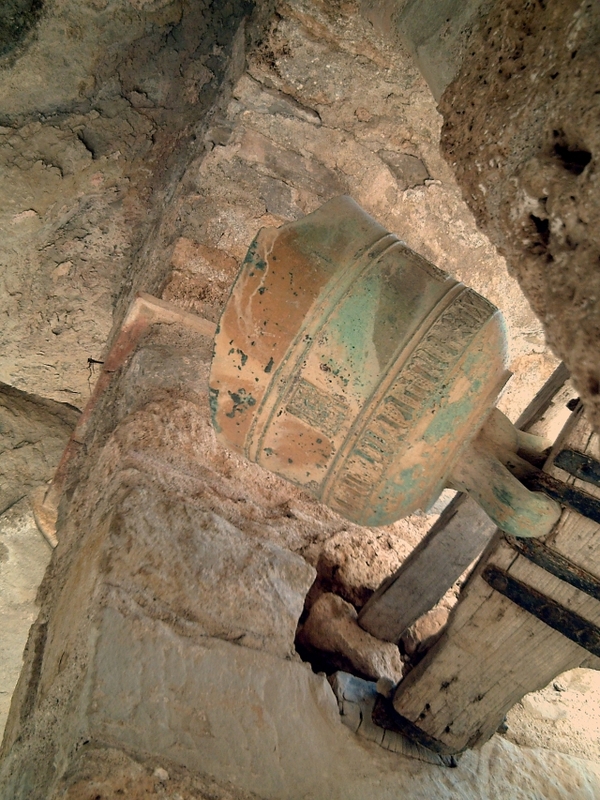 Check my previous post for more Sant Miquel del Fai information. estaba tocant o es que está al reves? Estava tocant, es a dir, aturada a la posició on hi-habia quedat. Fixat com a dalt, la finestra acaba amb arc. Graciès, Morgia. Thanks Selana, Dutchie,Curly, and Mick (nice web).